Yuukai has been one of my favourite restaurants in Montreal since I moved here 6 or 7 years ago. What brought me there initially was the elusive search for a bring your own wine sushi restaurant with good sushi and affordable prices. Restaurants with all of these properties are quite a rare breed in Montreal and Yuukai quickly became one of my go to restaurants. If you know of any others (byow) please comment! The location on Parc between St Viateur and Bernard is a perfect central Mile End location – underneath the infamous Playhouse and across the street from the Rialto theatre. Although I’ve probably eaten at Yuukai over 25 times, lately I have been coming with large groups of friends for birthday dinners. It’s worth noting that Yuukai has an excellent private dining room with a huge table seating at least 15 people. We were really hungry and had already finished our first bottle of wine so we ended up eating 3.5 rolls between the two of us as well as sampling all the delicious sashimi those around us were ordering. 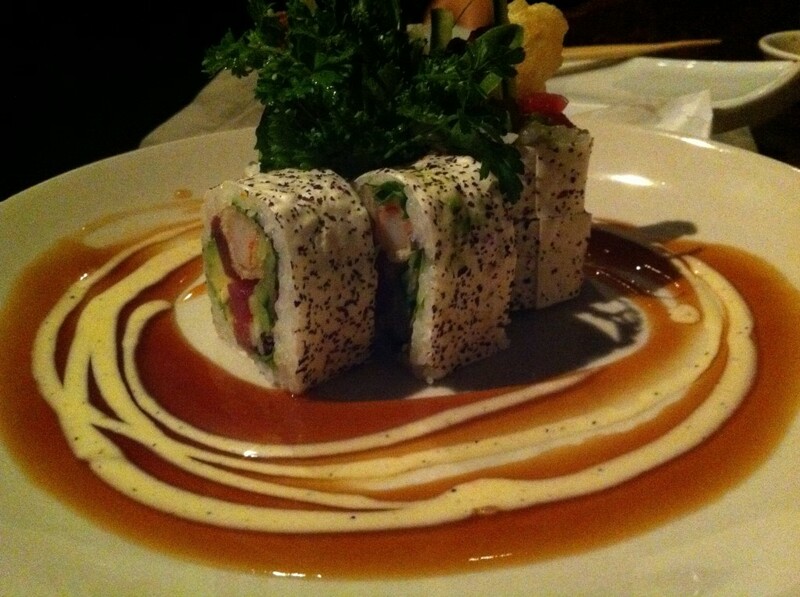 The Starfish and Kama rolls were new since our last visit and we loved them. These rolls, along with the Spicy Deluxe and Sunshine are the Chef’s creation rolls – still only 9.25 – 9.50 and so delicious. The Kama will definitely be a new favourite of ours along with the Kamikaze and Samurai. It’s such a pleasure to come to Yuukai on a date or with a group of friends with several bottles of white wine and order all the sushi you want knowing the prices never go above 10$ a roll (most maki rolls are 6 – 7). I also can’t emphasize enough how pleasant and friendly the staff are – it’s a treat to see them every time we visit. I can’t help but feel that sushi restaurants get stuck being either really delicious but overpriced or cheap but disappointing. There aren’t enough places like Yuukai who excel in balancing quality and price. For the price you pay at Yuukai, the quality of sushi and service is the unmatched. Highly recommend this place! Tags: Bring Your Own Wine, BYOB, BYOW, forkandtell, maki, Montreal, roll, Salmon, Sashimi, Sushi, Tuna. 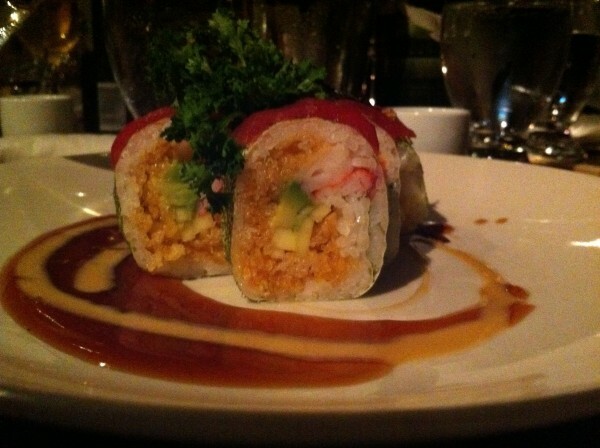 Kazumi Sushi Lounge is a BYOW resto. Oh thanks! we've never heard of that place before but we just looked it up – maybe we need to make trip out east!